There is a great deal of content on the web about what Google Analytics is so we won't go into this deeply. Google Analytics provides you with extensive metrics on who is accessing your website. Their demographics, their behaviors. We take it one step further. 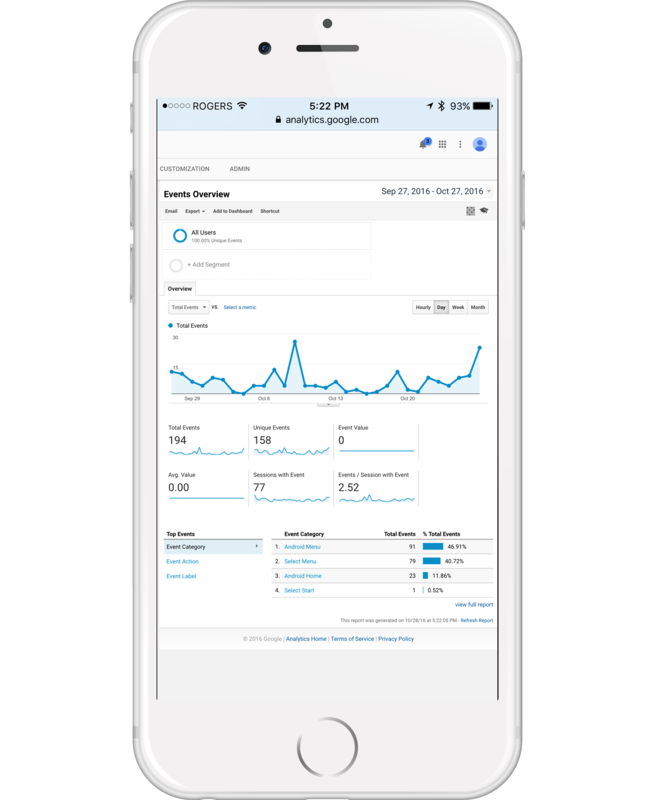 Our apps have Google Analytics baked right in so that when your customers choose a menu item or closes an ad, you'll know all about it. You can quickly determine which menu items is touched most often and for how long. There's just so much information in Google Analytics that we're sure you'll love the information the apps give.. Simply enter your Google Analytics ID on our web based tool, and start enjoying the results. It's that easy.